It’s been more than two months since the May 22 bombing near the exit of the Manchester Arena in England. This horrific attack occurred at the end of a concert attended largely by children. Nearly every day, a concert, ballgame, or event is held in one of numerous arenas or stadiums in the U.S. and most parts of the world. The NCAA alone hosts millions of spectators for sporting events throughout the year. While the primary reason for attending is the event itself, there are hundreds of people whose job is to provide a safe and secure environment for spectators from the time they arrive and until they depart for home. With spectator safety in mind, IPI formed a partnership with the National Center for Spectator Sports Safety and Security (NCS4) at the University of Southern Mississippi three years ago. 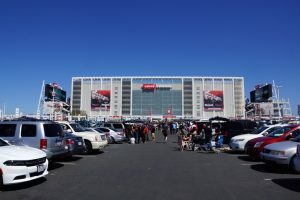 The goal of this collaboration was to offer the parking industry the tools and techniques to provide a safe environment for spectators as they parked their vehicles and congregated in parking lots after the events. Shawn Conrad, CAE, is IPI’s chief executive officer. As you are aware, parking the vehicle on the streets of the city is a tricky task. Large number of vehicles moving and restricted areas for use are some of the difficulties faced by the drivers in the daily debate for a space.